Combating insurance fraud and anti-money laundering have always been among the key challenges of the insurance industry. Therefore, the opportunity speaks for itself: SAS has great solutions to overcome these issues, only the proper occasion to display these to the target group needed to be identified. Below you can read a brief summary about a successful attempt to conquer the so far relatively unknown scene of insurers in Hungary. SAS has been present on the Hungarian market for over 25 years. Based on our recent impressions and overall market experience insurers have finally identified their need for solutions that help them overcome the problems and financial loss originating from insurance fraud and money laundering. Therefore, as a response to this emerging need, we decided to break new ground by gathering all key local insurance companies to present them our Insurance Fraud and AML Value Propositions. Our initiative was very well received – our event named „Insurance Fraud and AML Business Breakfast” and SAS expertise in the fight against fraud was even recognized by the Hungarian Association of Insurers. Therefore, they distributed our invitation to all their 35-member companies and invited their member Compliance Managers, as well. Basically, the Hungarian event was a first attempt to penetrate the insurance sector in the CEA region as previously it hadn’t been a focus area for our business activities. Practically all important insurers represented themselves at the Business Breakfast and they were all impressed by our SAS solutions. Attendees were shown the application of new trends – such as artificial intelligence and machine learning - in fraud detection and customer knowledge in the insurance sector. On top of that, an expert presentation was given on how to combat the increasing challenge of complying with AML regulations and detecting potential money laundering. Let’s see the details! The event was kicked off by József Abrán, Pre-Sales Manager Hungary and Adriatic, he did a brief re-cap of current problems we are solving by SAS at some of our existing customers. Among others, he mentioned fraud detection as a key focus area applied by OTP Bank, National Tax Authorities and the Hungarian State Treasury or our Real-time credit scoring solution at MFB Bank and MKB Bank. Next up, David Hartley, Director, Fraud and Financial Crime Practice at SAS presented the Next Generation Insurance Fraud Solution to attendees. As an introduction, David showcased that approx. 10% of submitted claim cases might be fraudulent in general, 9 of which can be detected only by means of analytics. Next, he introduced the key fundamentals of SAS’ Insurance Fraud solution and described the background to Application Fraud and the different types of Agent Gaming, as well. The session was completed by a demonstration of SAS Visual Investigator. 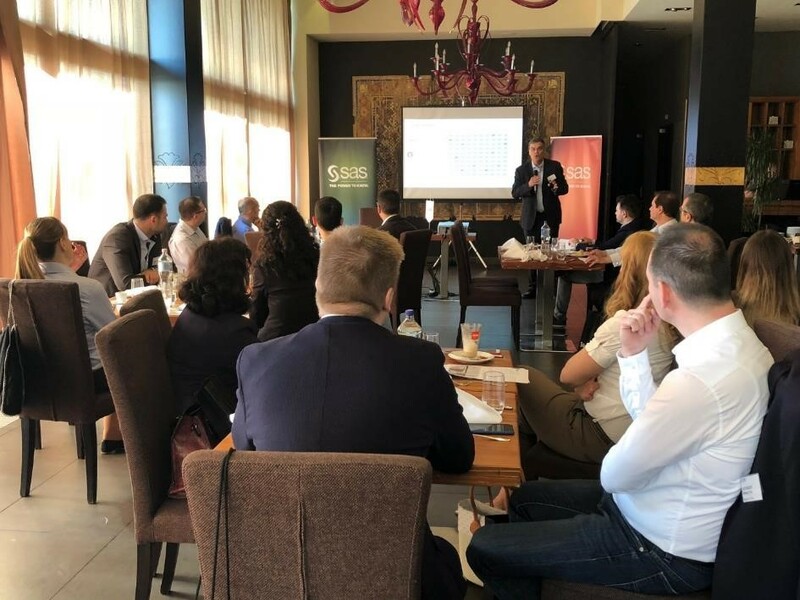 In the second half of the agenda, Tamas Svab, Sales Director at Consortix, the top AML Partner of SAS had an excellent presentation in the topic of Anti-Money Laundering for Insurance. Considering the fact that most of the attendees were complete newcomers to the AML approach, the presentation consisted of a basic walkthrough with the definition and impacts of AML plus the potential actions that can be taken against this phenomenon. As a conclusion, Mr. Svab presented the SAS offering (in a partnership with Consortix) as the modern solution for AML compliance helping insurance companies protecting their business and reputation. The objective of the event – start building relations within the local insurance sector, identifying insurance fraud and AML as their key issues and offering them the right solution - was clearly achieved. Some of the attendees showed obvious interest in a personal follow-up to discuss more specific details, therefore, as a conclusion - entering uncharted waters proved to be safer than just watching the waves from the shore. Orsolya has started her professional career in the music industry at Sony Music, followed by a Marketing Manager position at RTL Klub, Hungary’s leading commercial TV station. in 2006 she joined videogame publisher Electronic Arts where she held a Prague-based regional marketing leader position for Czech Republic, Slovakia and Hungary. 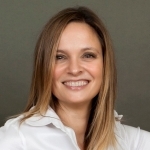 Orsolya joined SAS at end of 2017 as the Marketing Manager for Hungary. In her free time she enjoys running, skiing and raising her 4 year-old son called Csaba.